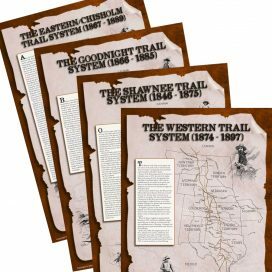 View cart “Map of Western & Chisholm Trails In Oklahoma” has been added to your cart. 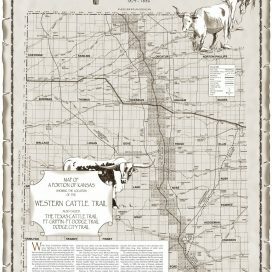 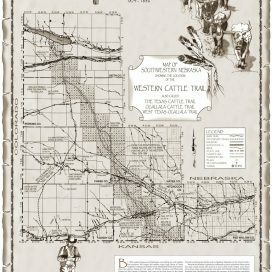 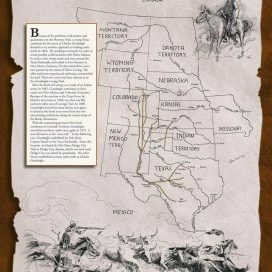 The third map in a four-map series shows the Eastern/Chisholm trail from south Texas to the Platte River in Nebraska. 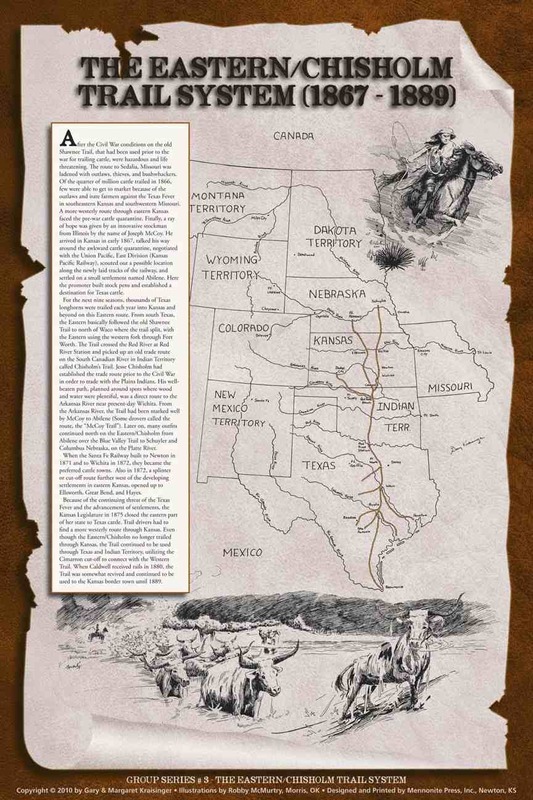 This map also shows the branch to Ellsworth, Kansas and the Cimarron Cut-Off (Splinter Route) from Pond Creek (Indian Territory) to Dodge City. 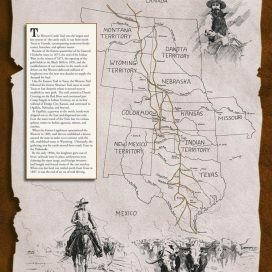 Even though the Chisholm trail in Indian Territory was slightly used after the 1875 Kansas quarantine including Wichita, Kansas railhead, it was revived in 1880 when Caldwell, Kansas on the border received rails. Thus the Chisholm trail continued to be used until 1889.